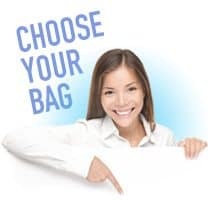 Plain bags are returnable if unused for a full refund within 30 days of purchase. If the return is due to customer error, customer must pay for the shipping fees. If it is our error, we will reship at no charge. Please call the office for an Return Authorization number. Our normal lead time on most custom printed orders is 3-4 weeks. Reorders are 2-3 weeks. Rush orders may be available at an additional upcharge, please inquire. Stock items usually ship out within 24 hours. Our terms are normally 50% deposit, balance on delivery on custom printed orders. Sales tax is additional if we are selling or shipping to a business in California or has offices located in California. unless we have a signed resale card on file. Freight is additional on all items, and is usually shipped U.P.S. and added to the invoice. Most items are f.o.b. Los Angeles. On selected items that are considered “mill runs”, an overrun/underrun allowance of plus or minus 20% is standard and billable. On short runs, and post-printed orders, the overrun/underrun allowance is approximately 5%. The final invoice is prorated and billed according to the total number of bags printed and shipped. All custom printed orders are subject to a one time set-up and plate charge. This is custom quoted once we are sent artwork. Any plate charges are quoted and stipulated on the purchase order before we begin any orders. All artwork should be sent to: artwork@bag-ladies.com, eps file, adobe illustrator for a custom quote. On reorders, we retain the plates (up to three years) and assuming there are no copy changes, the plates are a one time charge. Any changes to copy may require new plates. All custom orders, new or reorders, are usually accompanied by a purchase order stating all the job specifications. In addition, any new orders are normally proofed via a pdf file. On first time orders, we accept most major credit cards or checks. On subsequent orders, Net 30 terms can possibly be set up. Please inquire with our business office for a credit application. Any other questions, feel free to call our office and we will be most happy to offer any assistance.